France would like to see the return of 'stability and order' in Libya under Marshal Haftar, The Libya Observer has reported, citing a French Foreign Ministry source speaking to Le Monde. According to the source, despite appearances, there is no ambiguity in Paris' attitude toward Haftar, with the marshal seen as 'part of the solution' in Libya since his forces control over 80 percent of the war-torn country's territory. The source stressed that there was no military solution to the conflict, noting that the recent LNA offensive on the GNA capital has only served to undermine peace efforts. 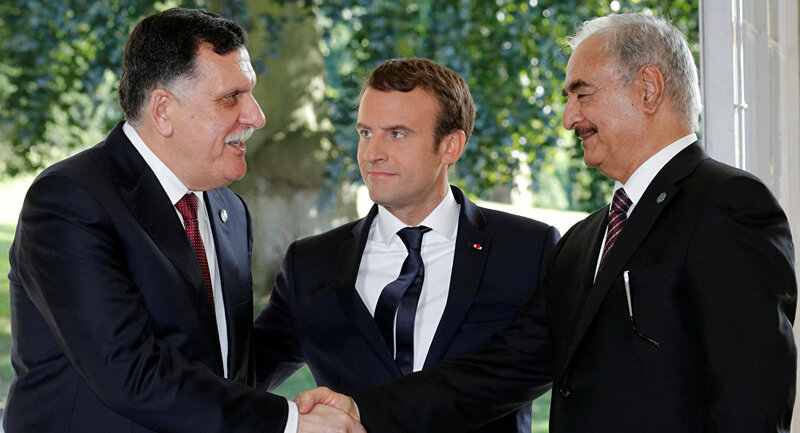 Le Monde characterised France's position on the LNA's Tripoli offensive as "the ambiguous official French position," pointing to French-Italian tensions on the Libyan issue over Paris' quiet support to Haftar starting in 2016 under the justification of the common fight against terrorism, with these efforts becoming particularly prescient following the 2015 Paris attacks. Speaking to Le Monde, Wolfram Lacher of the German Institute of International Affairs & Security think tank suggested that contrary to French leaders' recent claims, Paris was "not surprised by the Haftar offensive on Tripoli." Just as importantly, Lacher noted, Paris, unlike Berlin and Washington, avoided making a "unilateral declaration" about Haftar's role in the latest skirmishes. "France has invested too much in Haftar, and does not want to lose her investment," the researcher stressed. Libya collapsed into anarchy in 2011 following a NATO-led campaign of airstrikes in support of rebels seeking to topple the government of long-time leader Muammar Gaddafi. The turmoil prompted competing militias, criminal gangs and terrorist groups to establish control over wide swathes of the country. 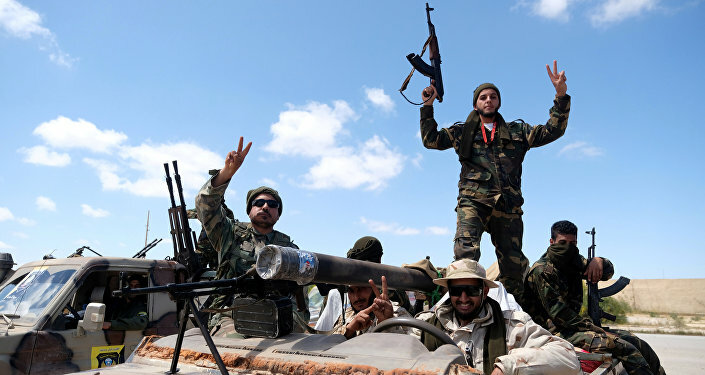 The largest militias formed two separate governments, the eastern Tobruk-based government, supported by Haftar and the LNA, and the western UN-backed GNA, based in Tripoli.